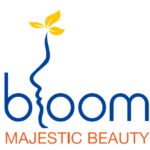 Bloom Majestic Beauty was started in Halifax, Nova Scotia by dermatologist Dr. Amr Fathy who had more than 25 years as MD consultant dermatologist and American Aesthetic medicine board certified. He has worked with over 52 nationalities worldwide and has worked in five different countries. He knows about skin. Since he has examined thousands of patients, he knows where most skin problems come from and how to treat them. Aging and sun damage are two top skin concerns for most people. As skin gets older, it begins to show the signs of aging and wrinkles appear. No one wants wrinkles, and now you can do something about them. Our skin cream formulas help defeat and slow down those signs of aging. We have partnered with a high-tech lab to formulate the products designed by Dr. Fathy, which integrate as many organic materials as possible. 1- Approved by Health Canada and manufactured in Canada. 5- Classified as a very safe plant-derived ingredient according to the Environment Working Group Cosmetics database. For all the products details, ingredients, and Shopping.